farmhouse ('fa:m,haus) ale (eil) n 1. The very model of farm self-sufficiency and productivity. 2. An exceptionally nutritious beverage brewed from farm grown, foraged and/or naturally present ingredients (cereals, hops, microflora and water) by the farmhands, on the farm, traditionally in the cooler months of the year when the demands for farm labour were at their lowest ebb. 3. Brewed to feed, slake the thirst and entertain these same farmworkers during the labour intensive warmer months. 4. Matured for many months before consumption, fermented with naturally occurring yeasts and bacteria, often sour, exceptionally flavoursome, wonderfully digestible and always unique to the property. 5. Some would say these ales are the very essence of what beer should be. At Two Metre Tall we brew a range ales available throughout the year. Brewed of mixed and wild fermentation, these ales will develop acidity and complexity as they age. Ensure you take note of the neck label that includes a host of detail about the particular brew you have in your hand. This includes brew & bottling dates, ingredients (including hop varietal detail), and tasting notes specific to your batch. The brew date is the important detail to note as it will provide an indication of where your bottle is in time and suggests what you may expect. The older the brew the more you are in for a treat of developing acidity and souring complexity. 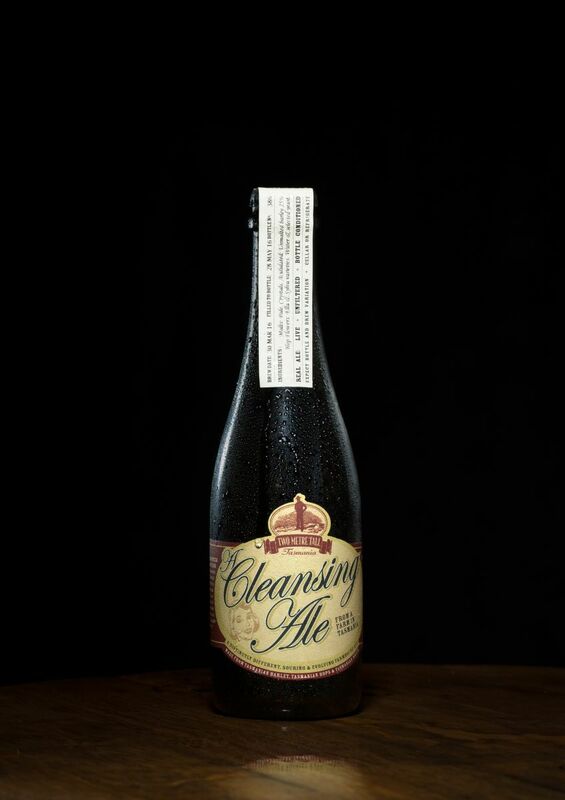 Cleansing Ale 4.9% alc. vol. | clean, crisp, aromatic and flavoursome on release. The ale will, after 3-4 months in bottle, take on a lovely, light, fresh citrus acidity which will keep the ale fresh, bright and 'cleansing' through many more months of ageing. The River Series Farm Ales | Three rivers, three regions, three distinctively different farm ales. Derwent Aromatic Spelt Farmhouse Ale 5.2% alc. vol. | An ale, naturally soured by the microorganisms present on the raw spelt and completed by the aromatic complexity of whole hop flowers from the Derwent Valley. Forester Wild Amber Farmhouse Ale 5.5% alc. vol. | A rich & complex ale featuring the Pride of Ringwood whole hop flowers from north east Tasmania's Forester river region. Developing brettanomyces complexity as it ages. Huon Wild Apple Farmhouse Ale 5.8% alc. vol. | A triple fermented brew integrates dark roasted malts with apple juice from the Huon Valley that adds the necessary acidity to make this ale shine. When we discovered the Griggs family at Lucaston Orchards in the Huon Valley were still growing the famous old English cider variety, Sturmer Pippin, that was all the motivation we needed to produce a traditional, unfiltered, bottle fermented farm cider made using only apples and wild microorganisms. Current release is a blend of the 2016 & 2017 harvests. 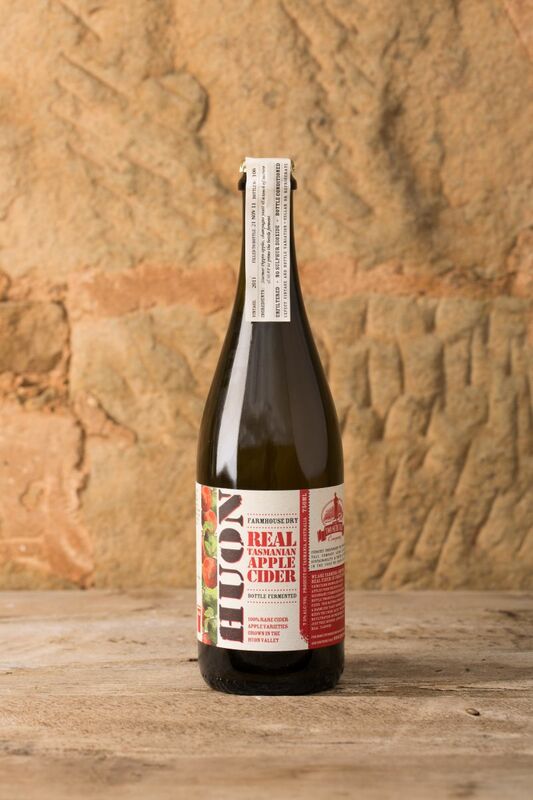 Our farm cider is made from whole apple juice and wild microorganisms. Nothing else. Many commercially produced ciders are made from fruit concentrate and have added sugar. Yes, our cider is very dry. That doesn't mean you can't enjoy a sweet beverage more to your liking. The Europeans have been adding their own sugar to dry cider for centuries. Why not follow their tradition and add sugar to taste? Our special release ales, ciders and meads are available in very limited quantity and released from time to time during the year. Second hand wine barrels are filled with spontaneous brews of our ale, cider and mead, often steeping fruits from the Derwent Valley including morello cherries, plums, pumpkins, red berries, medlars and more. Oysters, mussels and seaweed from Tasmania's southern waters also find their way into the brewhouse as well. Our latest barrel aged release is the Fruit Bomb 5.8% alc. vol. 375ml. A naturally soured ale brewed in October 2016 was steeped with red fruits from the Derwent Valley including raspberries, blackberries, mulberries, red & black currants. Lightly sparkling and bottle conditioned we highly recommend this two year old, barrel aged ale served in a wine glass as a perfect match with cured meats. 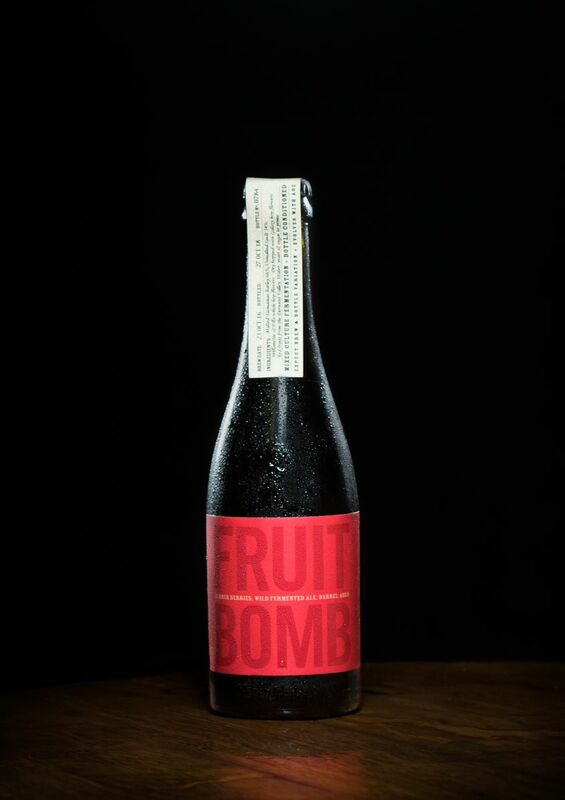 The Fruit Bomb is sold out for online orders & is now sold out at our Brewery Cellar Door. SOURED PUMPKIN ALE - Barrel Aged - 2015 | Pumpkins from the farmer down the road brewed into an ale which is then spontaneously fermented in barrel. Sparkling MEAD | Using honey from hives kept on our farm and from our neighbours, this mead is 100% spontaneously fermented in barrels over many years. 6.6% alc. vol. Join our mailing list to be one of the first to hear about our releases. Send us an email or contact us via our VISIT page.